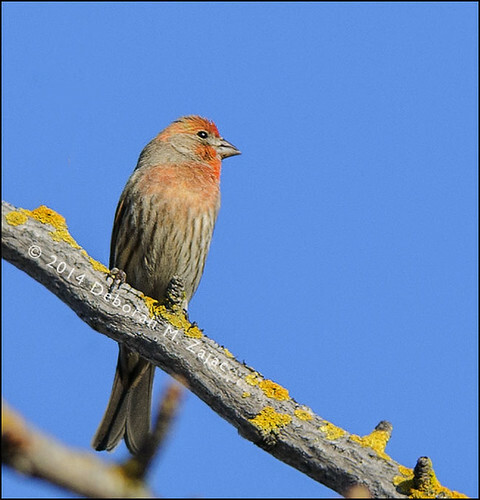 House Finch Male, originally uploaded by CircadianReflections Photography. Copyright Â© 2014 Deborah M Zajac. All Rights Reserved. A little bit of color on this winters day. Thank you Harold! It’s tricky putting the watermark on and not distract from the image.